Wood continues to be a popular choice for both residential and commercial fencing – providing a natural beauty that can last for decades, with the right maintenance and care. When it comes to wood fencing installation, pressure treated lumber is particularly popular, with its superior protective qualities against the elements, as well as most molds, insects and rot. Premier Fencing offers only a premium grade pressure treated lumber on all of our projects. See “Our Lumber” below for more information. 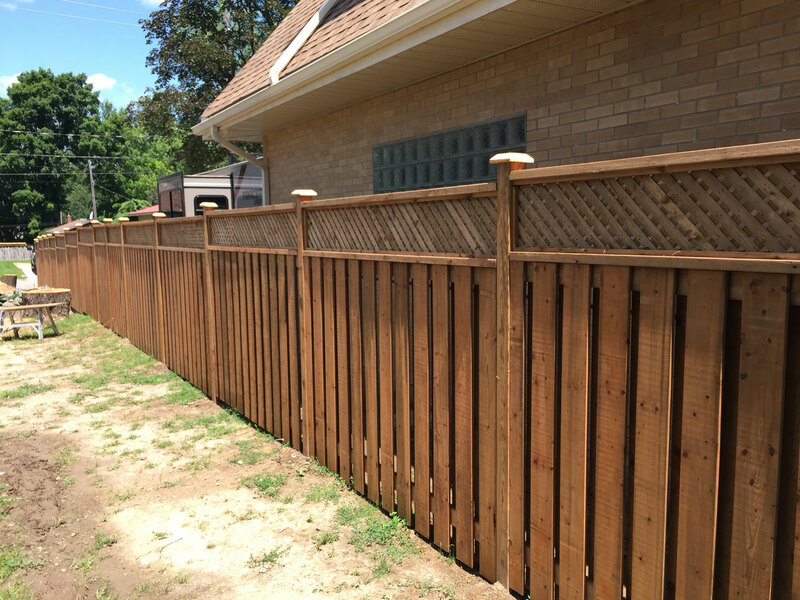 Cedar fencing is another popular choice among property owners. Cedar offers a soft, and more natural look, and largely appeals to the overall look of your landscape. With natural properties to fight off insect damage and rot, a cedar fence is an exceptional option and smells great! 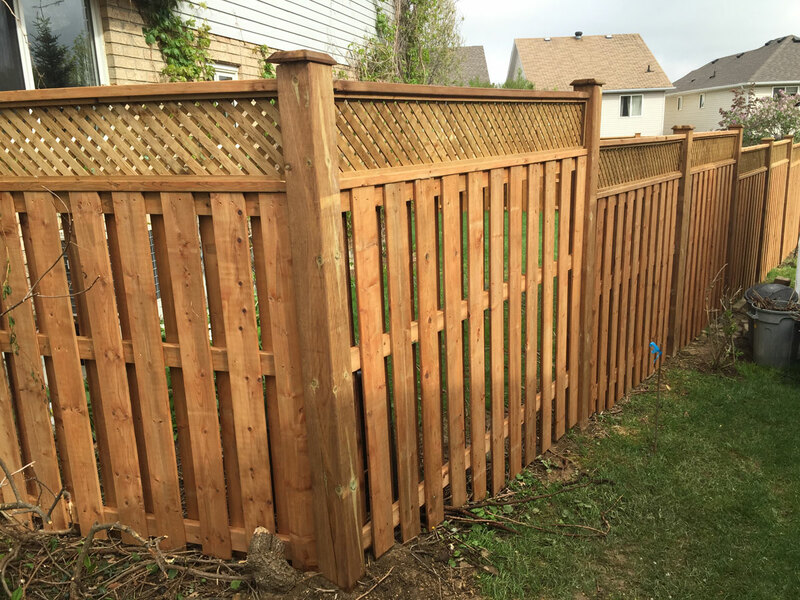 Cedar fencing is roughly 1.5x-2x the cost of pressure treated fencing in most cases. Those who prefer a natural, environmentally friendly product, or who have a heavier focus on their landscape design tend to go this route. 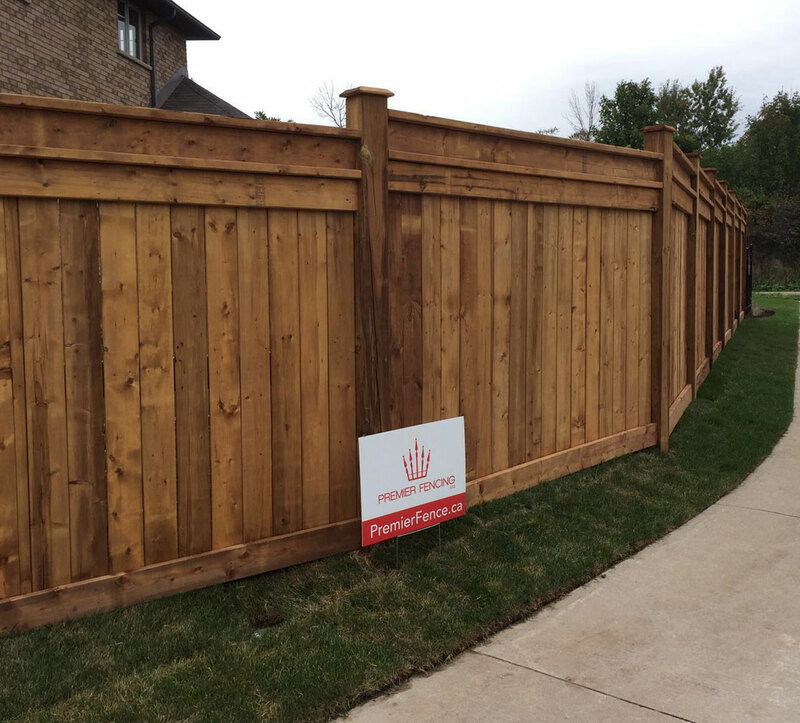 At Premier Fencing, we have been Kitchener/Waterloo and the wider Southern Ontario area’s custom wood fence experts for nine decades. We offer the selection and helpful, no-pressure advice installation experience – all backed by a two-year warranty – that has made us a trusted partner to generations of homeowners and businesses. Solid: This contained fencing provides nearly complete privacy, typically employed for swimming pools and property-line demarcation. Our most economical option available and a popular pick among homeowners. Keep in mind- generally one side of this fence will show structural rails, and the other with vertical boards. Each customer will have their own personal preference on this. Over time you will see small 1/8” gaps develop between the fence boards allowing for air flow into your yard. Board on Board (Good neighbor fence): This type of fence has alternating, and overlapping boards on both sides. Board spacing is generally kept at 3-1/2” but for additional privacy this spacing can be tightened to 2” or even 1-1/2”. This style makes for a good neighbor’s fence, if you decide to share the costs, as both sides of this style fence look identical. Imitation board & Batten:This style is great for keeping children or pets enclosed in the yard, while clearly defining property lines and providing a distinctive look. Our most popular style to date- providing complete privacy, with overlapping boards kept to one side of the fence. This fence style provides additional privacy and an added depth to the fence line. Keep in mind- generally one side of this fence will show structural rails, and the other with vertical boards. Each customer will have their own personal preference on this. The history of fences goes back to the beginnings of human civilization. The Ancient Greeks and Romans, for example, would build fences around newly conquered lands, as way of asserting ownership. The earliest settlers in North America also relied on wood fencing installation for their land claims. At the same time, many First Nations, especially in the eastern part of the continent, enclosed their villages in wooden stockades. Today, custom wood fences are still used to mark property lines. But they also supply privacy, or semi-privacy, keep children and pets enclosed and safe inside property lines, and come in a wide range of styles that add a special visual appeal to your home. How Long Does Wood Fencing Installation Take? Of course, the length of time it takes for wood fencing installation varies according to how big the fence is, how many hands are involved, etc. But on average, customers should allot 3-5 days for the project: one for setting of the posts, 2-3 to allow for the concrete to cure and a final day for hanging of the fencing and gates. While a custom wood fence can be added to your property year-round, people usually think of this type of project during the warmer months, when they are most likely to enjoy its use in the outdoor spaces. 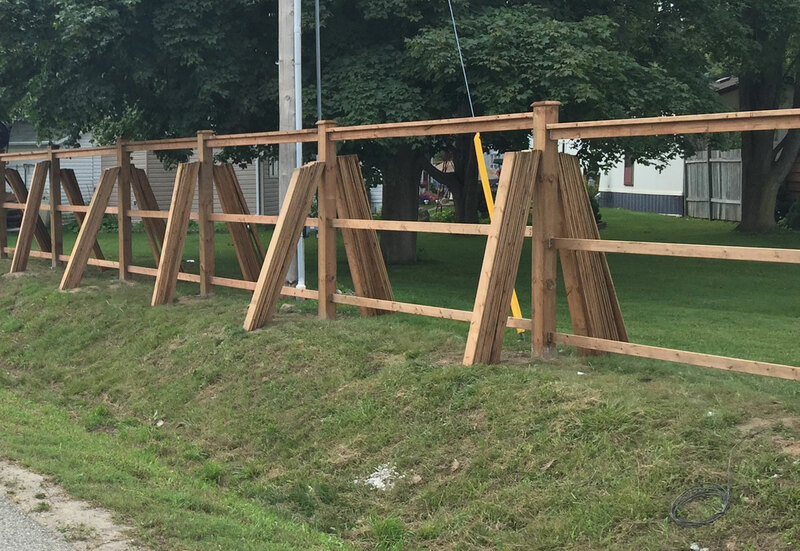 Since summer is busy season for wood fencing installation done by professionals, it’s always wise to book your project early. Our team of professionals will help guide you through all municipal and regional fencing bylaws. Most cities and towns have fence regulations you should be made aware of, especially when working around pools and corner lots. Besides the official permission, it’s good practice, and nice courtesy, to get the blessing of your neighbours. While the saying goes, “Good fences make good neighbours,” they also lead to nasty disputes and even legal proceedings if you are not on the same page. 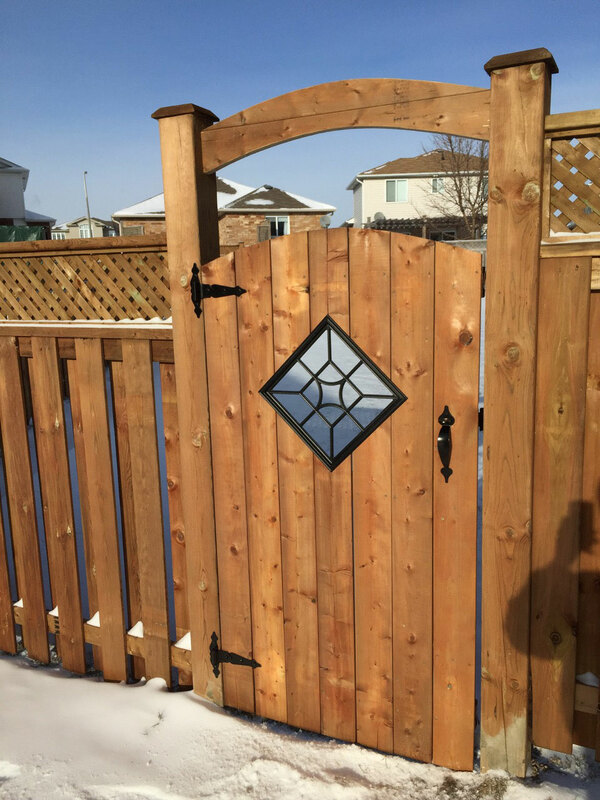 Also, if you go to your neighbours with reasons and intentions for a building a custom wood fence, not only might they give you a thumbs up, they could also decide to share in the costs of the fence-building project, which we see quite often. Before starting your fencing project, it’s always wise to have a good understanding of where your property lines are. With a good land survey on hand, our knowable team is able to map out and locate property lines on most fence projects. Before any work begins we always have our customer sign off on final placement of all fence line and gates. Also it’s a very good idea to check for the location of private underground utility lines, this would include pool pumps, sprinkler lines, etc. Premier Fencing will handle all public utility requests for your project. If you want to find out more about the ins and outs of wood fencing installation, or would like to up to provide a free quotation, contact the friendly professionals at Premier Fencing. 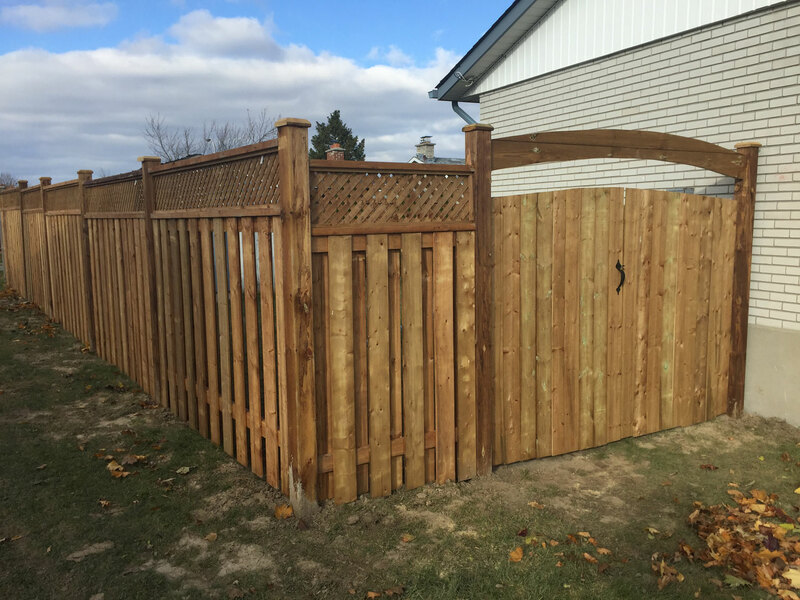 Premier Fencing and Backyard Solutions are proud of their reputation as one of the leading wooden fence, deck, and pergola builders across Southern Ontario. We plan on delivering high customer satisfaction, top notch product quality, superior installation, and product variety for many years to come. Together we can plan and create interesting and affordable outdoor spaces that fit your lifestyle and enhance your property value.